Rep. Dana Rohrabacher’s (R-CA) had strong words for the Obama administration during his opening statement of the 11/15/12 House Foreign Affairs Committee hearing on the Benghazi terrorist attack. He addressed Amb. Susan Rice and the Obama administration’s willful deception of the American people on the true nature of the Sept 11, 2012 attack. “This administration, including the President himself, have intentionally misinformed, (read that LIED) to the American people in the aftermath of this tragedy. Now, President Obama has the gall to name as possible Sec of State the name of the person who is the actual vehicle used to misinform the American people during this crisis,” he said. CBS News has obtained the CIA talking points given to U.N. Ambassador Susan Rice on Sept. 15 regarding the fatal attack on the U.S. Consulate in Benghazi, Libya, four days earlier. CBS News correspondent Margaret Brennan says the talking points, which were also given to members of the House intelligence committee, make no reference to terrorism being a likely factor in the assault, which left U.S. Ambassador Chris Stevens and three other Americans dead. Rice . . . has been attacked by Republican lawmakers for saying . . . on Sept. 16 that all indications were the attack “began spontaneously” – suggesting it likely sprang from a protest against an anti-Muslim video found on the Internet. Protests of that nature had been seen in other Muslim nations in the days and weeks before the Benghazi attack. “Available information suggests that the demonstrations in Benghazi were spontaneously inspired by the U.S. Embassy in Cairo and evolved into a direct assault… There are indications that extremists participated,” read the CIA’s talking points. And if you believe anything the Regime is saying about this, I’ve got a bridge to sell you – any bridge, anywhere.. Name your price. I’ve got a bridge just for you. He really does not have any idea of how serious this issue is. I’m a United States Senator. We have our responsibilities, we have our duties, and we are not picking on anyone here. Those talking points did not come from the CIA, they came from the White House. 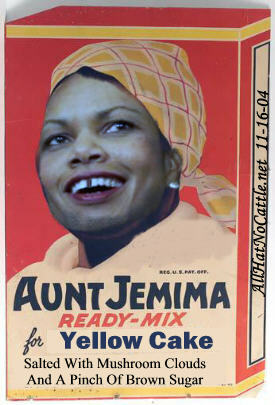 Who at the White House gave her those talking points? Obama might do well not to cross a man who’s survived more serious issues than a verbal attack. I haven’t been thinking such cataclysmic thoughts since the outrageous Stimulus of 3/2009, which was the impetus for the tea party movement. Today, Ace, in a typically insightful post, vented about how throughout the 2012 election campaign, the media class let Obama slide on entitlement spending. Everyone knows we’re on an unsustainable path, but they didn’t challenge the President who had no answers, and they allowed him to demagogue the two guys that did. Even liberals who didn’t understand math (which is most of them) knew that the Smarter Folks who did understand math were quite certain this was a problem, and so echoed their concerns. But it was politics before country for the MSM, and now that they’ve reached their goal of getting their Precious elected, they’re wringing their hands again about entitlements. They have no credibility on the issue. If this was such an important issue– which they remember to say again after the election — why did they work so hard to elect the Party determined to pander and offer nothing but Mathematical Fantasies? When it comes to pandering, their mouths say “No” but their eyes say “Yes yes yes,” and the Democrats know it. I’d sure like to see this “balanced approach” Obama talks about so much, on paper. An equal amount of tax hikes and spending cuts would in fact be a far more right wing proposal than he’s actually put forward. His actual plan is about as balanced as, say, France’s Socialists are implementing. The French economy has been stuck at zero percent growth for months, while unemployment has climbed to above 10 percent — and all signs point to an oncoming recession. Sounds like a plan. Let’s do that. I’m finding the gravitational pull of the Let It Burn caucus growing increasingly strong and increasingly irresistible. Are we now living through the final stages of a decades long strategy to wreck the US economy? Even the strongest of pack animals cannot bear all the weight of the world. Our economy cannot sustain the increased strain being placed upon it by redistribution schemes and taxes. The pony’s back will eventually break. It’s no wonder that so many have suggested such a goal from the beginning of the Obama administration. This idea has a name. It’s called the Cloward-Piven Strategy and it was first proposed in the 1960s by two ultra-liberal academics. The idea is to overwhelm the welfare system until it collapses. Afterward, a system of guaranteed income will be set in its place. In other words, the socialism that failed in the USSR and Eastern Europe. While addressing his campaign staff on Wednesday, Obama wept. They may be tears of joy as well as disbelief. Who could have imagined that any single president could do so much damage and still be re-elected to a second term? Obama’s dream of the “fundamental transformation of America” is only half finished. Even he is probably shocked that he gets four more years to bring it to completion. Since the election, many on the right have echoed this meme. They are convinced that widespread poverty and lack of opportunity will bring a resurgence of the America many of them knew growing up. Grandma and Grandpa’s America. Perhaps these people forget that Roosevelt was re-elected three times during a depression that he helped prolong — a depression that featured soup lines and starvation in a population that actually wanted to work for a living and went on relief only as a last resort, and then with a sense of shame. Thanks to food stamps, EBT cards, and other entitlements, Barack Obama actually had an easier time. He just had to threaten that the evil rich would take away flat-screens and “crazy money” to get enough votes. Imagine if people were really hungry. Roosevelt and the Great Depression is only a mild example of what happens during severe economic stress. Think about Germany during the Weimar Republic hyperinflation. What did that give the world? Look at Argentina, at one time in the twentieth century more prosperous than the United States. Cristina Fernandez easily won re-election after she nationalized retirement accounts. Do you really think that no one views your 401(k) as unfair? What could be fairer than making sure it is kept protected from the greedy Wall Street bankers? Look at what is happening in Greece, with a quazi-Nazi party gaining ground. Look at France, who elected a socialist government to solve problems caused by socialism. I could go on, but you get the point. A nation’s problems are always blamed on the evil rich (name your racial scapegoat). Do you really think it’s be any different here? If the American people are willing to reelect this malignant narcissist demagogue before we’ve hit rock bottom, think who/what a more desperate people will go for in order to keep food on the table, and a roof over their heads, when we do. Make no mistake: encouraging an economic crash is a bad idea. A parasite may eventually kill the host, but it usually takes a while, and there is always hope for recovery. Predators, however, devour the carcass in a rapid fashion. No easier meal can be had. Do not forget that predators are foreign to the body, and there are many circling outside our borders. Even today, there is still plenty of flesh left on America — flesh worth fighting for by whoever wants it most. I afraid there’s no happy ending, here. I really don’t see a way out of this mess. Congratulations to you all for surviving the absurd calamity of November 6th. You need to know what’s in store for you. To put it bluntly, you have two years to live. Politically live as the House Majority, that is. You are going to be demonized and destroyed by the Chicago Gangsters who run the White House and the presstitutes of the CorruptMedia. Your chances of retaining your majority in 2014 are 0%. The question is: what are you going to do with these two years? Realize that the political outcome will be the same no matter what you do. While many of you may individually survive and be reelected in 2014, collectively your majority will be gone and you’ll all be just minority schmucks. So if you plan to cringe, compromise, and cooperate with the gangsters just to be reelected as a minority schmuck, why not just quit now, resign and collect your pension – rather than continue a charade in order to keep your perks of power for a little while longer, and all that while you’ll have to look into the mirror every morning and see a coward? Why not, then, see someone of courage in that mirror instead? There is a power that only you – a majority of members of the House – have that neither the Senate, the President nor any of his agencies, nor even the Supreme Court has. If you choose to exercise it, you will be feared and respected, instead of being Obama’s poodles. But far more importantly, you will have done your patriotic duty to protect your country from the lethal damage Obama is poised to inflict upon it. The President with his Executive Orders and multitude of agencies and departments, Harry Reid’s Senate, the Supreme Court, no part of the vast US Federal Government has the Constitutional authority to spend a dime that you don’t give them. You all, of course, know this. What is required of you now is to act on it. The question to ask Mr. Reid is: “What do you mean ‘we,’ kemosabe?” Harry and every other Senator has no say in the matter. If you, the House Majority do not vote to raise the debt ceiling, it is not raised, no matter what temper tantrums Harry or the President have or threats they make. Right now, as you read this, your children and grandchildren – in fact, every single American under 18 – is saddled with over $216,000 of federal debt they will be expected to pay off. They can’t, they won’t, and it is immoral in the extreme to expect them to. Their debt has to be defaulted upon. The way to start is to refuse to raise the debt ceiling. Keep reading, here. But I honestly don’t see House Republicans doing anything this bold to save the country. Linked by Doug Ross, and Ed Driscoll, thanks! Posted in Commies, Disaster, Obamessiah. Give me a freaking break: Like Clockwork… Libs Play Race Card on Susan Rice Critics Gateway Pundit reports. Matthews and Clyburn, taking their cue from their Master’s Press conference, yesterday, played the roles of two Dudley Doo-Rites defending the (young) lady in distress, Little Miss Susie Rice. “This young African American woman, I might say”, Clyburn corrects him. Excuse me. This African American woman is 47 years old and served during the Clinton administration. She’s not “young” nor is she new to politics. And when she went on five Sunday talk shows to parrot the regime’s talking points about Benghazi that were a pack of lies, that makes her a “hack” aka someone not qualified to be Secretary of State. And no matter what craven party apparatchiks like these two say – it’s not racist to recognize that. You want to see an unfair, racist attack? 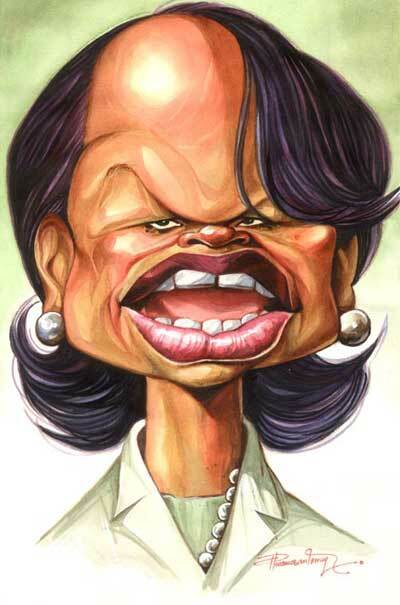 Take a look at how oh-so “racially sensitive” and ” tolerant” liberals treated that other Rice who was a wee 47 year old when she began her tenure as Bush’s National Security Advisor. Chrissy and Clyburn can get back to me when they see anything like that aimed at Susan Rice coming from Republican ranks. Otherwise they should kindly STFU. Wherein Peter makes the point that the MSM is purposefully leaving the appealing Ayotte out of the Susan Rice debate. You would think it’s kind of hard to ignore Kelly Ayotte at that event, She is tall (she towered over both Senators McCain & Graham) but she is a younger, photogenic woman who had a strong interest in this matter. I’d think that would be something to play up instead of just “two old white guys”. I suggest that is exactly WHY she is left out. It’s all a question of negative marketing. You can’t ignore John McCain, he is a former Presidential candidate and a war hero, but you can dismiss him, Lindsey Graham has been considered a protege of Sen McCain for a long time, if you want to pooh pooh McCain it’s fairly easy to do the same to Graham. He was a member of the impeachment crew vs Bill Clinton and is just another southern white guy. But Kelly Ayotte is a relatively young senator, she is an up and coming member of the GOP and in fact the highest ranking member of the GOP in office out of New Hampshire. I mean how many photogenic northeast Republican women, backed by Sarah Palin, who are fearless conservatives in the Senate? I submit and suggest that a conservative woman who is a rising star is exactly who the left and the media doesn’t want highlighted and a real effort is going to made to continue to downplay her and keep her unnoticed. “Let’s also not forget that, I think you all appreciate you don’t end up on every single major Sunday show without affirmatively putting yourself out there of wanting to carry forward a message on behalf of the administration. With rumors circling that U.N. Ambassador Susan Rice might be nominated by President Obama to replace Hillary Clinton as Secretary of State, McCain, Graham, and Ayotte made clear yesterday that they would filibuster that nomination, at least until the Libya matter had been fully litigated and investigated in public hearings. This touched off another round of Obama’s phony Libya indignation at yesterday’s press conference in defense of Rice, which was followed, to no one’s surprise, by a media backlash against McCain. Obviously the White House talking points got to the media quickly because the exact same attack on McCain happened almost at exactly the same time. Late yesterday afternoon, I was literally flipping back and forth between CNN and MSNBC as Dana Bash and Chuck Todd reiterated the exact same talking points accusing McCain of being motivated only by residual bitterness left over by the loss of the 2008 campaign. In the 24 hours since, the Narrative has spread like wildfire. This morning on the “Today Show,” Matt Lauer went a step further and accused McCain of hypocrisy. Lauer reminded the Arizona Senator that in the wake of the WMD debacle, he supported Condi Rice’s nomination to Secretary of State under George W. Bush. Lauer’s rationale is that Condi Rice is just as guilty (or innocent) as Susan Rice is of unintentionally spreading misinformation based on faulty intel. 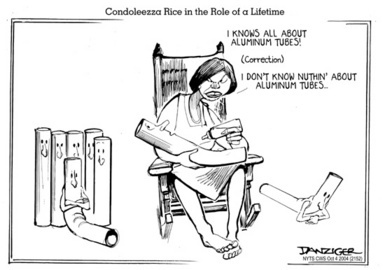 Susan Rice, according to the media and White House, was only repeating what she knew from CIA talking points handed to her prior to her now-famous Sept. 16 appearance on all five Sunday shows, where she insisted the attack on the Benghazi consulate was not premeditated. Posted in BenghaziGate, Commies, COVER-UP, Deesgusting, Dems, Dumb!, Enough!. Scheduled on the Hill, today are three separate hearings focusing on the Benghazi terror attack that left four Americans dead. The House Foreign Affairs Committee holding a hearing LIVE at 10am. The House Select Intelligence Committee and the Senate Select Committee on Intelligence hold private hearings today as well though they are closed to the press. Hopefully we’ll get some news out of those hearings. The House Committee on Foreign Affairs’ hearing can be watched live, here. I was under the impression that members of the Obama administration would be testifying at this hearing, but apparently not. Hopefully, we’ll hear some news later on from the House Select Intelligence Committee and the Senate Select Committee on Intelligence which are holding private hearings today that are closed to the press. Rep Smith (R-NJ) decried the White House’s unwillingness to make available to open testimony members of the administration who are involved in this scandal – which is why there’s no one but foreign policy experts testifying at this hearing. Tomorrow, General Petraeus will testify on Capitol Hill at a closed session before the House Intel Committee. WASHINGTON—Former Central Intelligence Agency director David Petraeus is set on Friday to make his first appearance on Capitol Hill since his resignation last week, but he won’t be talking about the extramarital affair that led to his downfall. A congressional aide said Mr. Petraeus would testify in a classified session before the House intelligence committee about the September attack against Americans in Benghazi, Libya. The aide said Mr. Petraeus’s personal matters wouldn’t be on the agenda. The Friday testimony will follow hearings on Benghazi Thursday at the House and Senate intelligence committees. The acting CIA director, Michael Morell, is set to speak before closed sessions of the committees, first at the House in the morning and then in the afternoon at the Senate. Republicans are continuing to press questions about the Sept. 11 attack that killed U.S. 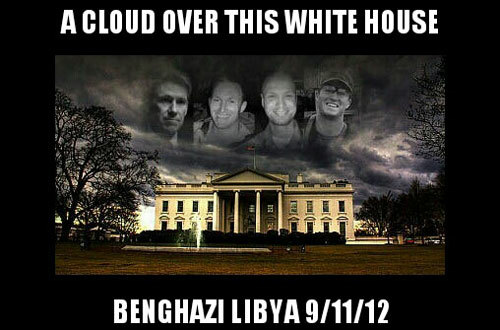 Ambassador Chris Stevens and three other Americans. Sen. John McCain (R., Ariz.) said Wednesday he wanted to know more about why U.S. forces couldn’t respond more quickly when the U.S. consulate in Benghazi came under attack and why Obama administration officials initially said the violence sprang from a spontaneous protest over an anti-Islam video. “There is no credibility amongst most of us concerning the administration and the numerous controversies and contradictions that have been involved in their handling of this issue,” Mr. McCain said. Hot Air: WSJ: Petraeus pushed out after defending CIA over Benghazi? All of this is an interesting context for Petraeus’ sudden offer to talk to both intel committees, starting tomorrow, behind closed doors. Petraeus may have nothing more to offer than just a personal recapitulation of what we know already, delivered to give Congress closure and end the distraction of his absence. It could also be that Petraeus has decided to up the ante and add a few more pertinent points to the CIA timeline, perhaps even including how he ended up backing the false spontaneous-demonstration story when briefing Congress. Lyndon Johnson once said he’d rather have a particularly annoying critic on the inside of the tent looking out (I’m paraphrasing) than on the outside of the tent looking in, and the Obama administration may end up realizing the wisdom of LBJ in this instance. Eh. We’ll see. I’m dubious. A House Foreign Affairs hearing on “Benghazi and Beyond” quickly turned into a shouting and accusations forum. Rep. Brad Sherman, a Democrat also from California, called the attacks on Rice “unfair” and leveled that Colin Powell testified that there were weapons of mass destruction in Iraq, because that’s the information that was given to him. Rohrbacker shot back, going further, intimating that what the White House has done is worse than Watergate. Naturally Democrats responded. It began rather timidly and escalated. Bah-humbug. Who didn’t see it coming? Posted in BenghaziGate, Corruption, COVER-UP.